"The Fear of the Lord be upon You"
The origins of Clan Munro are lost in the distant past. By tradition, C11th mercenary soldiers from Ireland, they were granted Lands in Ross by a grateful King after assisting him in defeating the Viking invaders of this part of Scotland. From documentary evidence, they were well established by the middle of the C14th on the north shore of the Cromarty Firth in the area known as Ferindonald (Donald's land) after their legendary first chief. From this narrow base comprising the modern parishes of Kiltearn and Alness they gradually spread their sphere of influence northwards and eastwards into the fertile plain of Easter Ross. Initially, they held land as vassals of the powerful Earls of Ross but on the forfeiture of that earldom, directly from the Crown. In general a law abiding and peaceful clan, nevertheless when needs arose they stoutly defended their interests against more powerful neighbours. Loyal to the Crown, early in the reformation the Chief and his followers adopted the Protestant faith, a move which greatly influenced future clan policy. Under their Chief they fought on the continent in the 30 Years War and supported the Protestant succession to the British Crown against the Catholic Stuarts during the Jacobite Risings of the C18th. The Munros military record continued into the present century, providing the British Government with some of its finest fighting troops through the Highland Regiments. Clansmen and women have excelled in many professions including medicine and politics. Military expeditions, adventurism and social change in the Highlands saw the name Munro spread throughout the world. The power of the old Highland Chieftains has gone but the spirit of the Clan lives on through the Clan Munro Association which enjoys a world-wide membership. Foulis (Gaelic "Fo-glais" a steamlet) has of old been the home of Clan Munro. Acquired by a Munro Chief in the early Cl4th. Plans of the original castle are long since lost, but the grounds still contain the site of an C11th Mott (manmade mound topped by a wooden palisade). The present Castle dates from the middle of Cl8th containing within its attractive Georgian structure the remains of a much earlier and altogether different defensive keep. Sir Harry Munro returned after the 1745 Rising in which he lost both his father and uncle at the Battle of Falkirk, to find his ancient home destroyed by fire, and set about building the house you see today incorporating what he could of the old Cl6th keep. 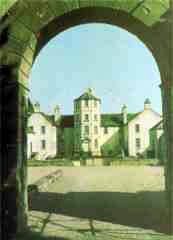 The courtyard pierced by three arches with its semi-octagonal tower dated 1754 hints at an earlier form of Scottish architecture, whilst the overall effect of the range of Cl8th domestic buildings, coachhouses, laundry, bakehouse, stables and well, shows a strong continental influence. The slightly later and more formal Georgian front features a fine double entrance stair leading to a doorway formed from a first floor window in the pedimented centre piece with it's heraldic panel dated 1777. The short end elevations have elegant full height angled bays. The whole, very much in the manner of one of the Adams brothers. Little has changed since, Foulis remains externally much as it was first built. Internally alterations made by succeeding generations add to the character of this interesting old building (still occupied by the Munros of Foulis), by here and there allowing glimpses of the vestiges of earlier architectural form exposed during renovations which can only hint as to how the Castle might have once looked. Foulis Castle is 4 miles north east of Dingwall on the old road to Evanton and is open by appointment only. The following ten chiefs cannot be authenticated by contemporary evidence and therefore there is some doubt as to their existence but their names have been handed down by tradition and thus merit a place in the list. Hugh Munro 1126 first member of the line "Baron of Foulis"
Clan Munro Association of Canada is a branch of the world-wide Clan Munro (Association), founded in 1937. 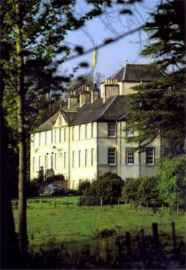 Its headquarters is in Scotland, with other branches in the USA, New Zealand, Australia and France. CM(A) seeks to maintain the best of the old traditions as well as provide a link between Munros in Scotland and those who have spread far beyond their old homeland. Clan Munro Association of Canada (CMAC) was organized during 1974 by the late C.C. ‘Bud’ Munroe with the support and approval of our late Chief, Captain Patrick Munro of Foulis. The First Meeting and Gathering of CMAC was held in June 1975 in Kemptville, ON, at the Royal Canadian Legion Branch #212 Hall. The Pipeband of this Legion was organized by Pipe Major Ralph Munro and had received permission from the Chief to wear the modern, red Munro tartan. 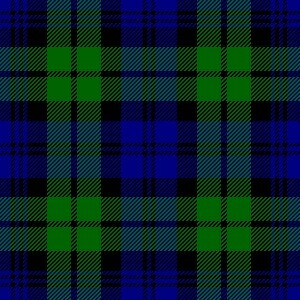 This band is the only Pipeband in Canada who wears a Munro tartan. The weekend included a Dinner and Ceilidh on Friday, the first AGM on Saturday morning and attendance at the Ottawa Highland Games on Saturday. The Second Gathering and Meeting of CMAC was held at King’s College, Dalhousie University in Halifax, NS, in July 1979, in conjunction with the International Gathering of the Clans. Friday evening was the Registration and Get-Together. The Business Meeting was held on Saturday morning, with a Dinner and Ceilidh in the evening. On Sunday, a parade and Drumhead Service were held at the historic Halifax Citadel. The Third Gathering was held at Carleton University in Ottawa in 1980, with Meeting, Dinner, Ceilidh and attendance at the Glengarry Highland Games in Maxville, ON. The next Meeting was held at Munro Tent & Trailer Park, Powassan, ON, in 1982. This weekend Gathering included a Get-Together and Meeting, a Tour of the NORAD facilities in North Bay, a Tartan Dinner and Ceilidh. In 1983, we returned to Halifax and Dalhousie University for the International Gathering of the Clans. In 1987, we held our meeting in New Glasgow, NS, in conjunction with the Festival of the Tartans, and in 1991 we returned to Halifax. Subsequent Meetings have been held at members’ homes following attendance at local Highland Games. CMAC members have been welcomed at Gatherings of the Clan Munro (Association) USA and the Clan Munro (Association) in Scotland, especially at the 70th Anniversary Gathering at Foulis in July 2007. CMAC was a founding member of the Clans and Scottish Societies of Canada (CASSOC) in 1977. On February 22, 1975, the first meeting of the British Columbia Division was held at the home of Donald and Jane Munro in West Vancouver. On September 27, 1975, the first meeting of the Ontario Division was held at the home of John and Mary Munro in Hamilton. On November 26, 1977, the first meeting of the Nova Scotia Division was held in Cameron Hall, Whycocomah, organized by Alcorn and Miriam Munro.